Offering qualitative Incinerators and allied products like Multi Purpose Incinerator for Incineration of Powder Materials, Solid Materials And Liquid Waste Materials, Double Stage Liquid Waste Incinerator System, Solid Waste / Municipal Waste Incinerator System, Bio Medical / Hospital Waste Incinerator, Non IBR Steam Boiler etc. We offer Solid Waste Incinerators that have been designed for the disposal of solid and hazardous waste. These have a high capacity and deal effectively with the excessive ash produced during the incineration of solid wastes. They are designed keeping in mind the quantity of waste they would have to deal with. They are energy efficient and are in compliance with emission norms. For solid waste with high calorific value, a rotary kiln incinerator and more specifically the counter current rotary kiln is the most versatile technology. The rotary kiln incinerator is typically used for medical and hazardous waste. For solid waste with (very) low calorific value, a moving grate incinerator is a suitable technology. 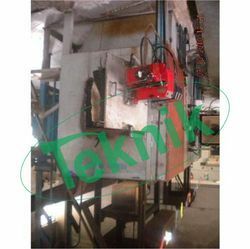 The moving grate incinerator is typically used for domestic or household waste. If medical waste would be incinerated in a grate incinerator, the grate would suffer from "hot spots". Hot spots will destroy the grate and as a consequence moving grate incinerators cannot be used safely for the disposal of high calorific value (hazardous) waste. 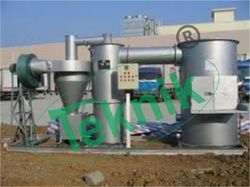 For solid waste, very homogeneous, as well in chemical composition as in particles size, a fluidized bed incinerator is a suitable solution. A fluidized bed incinerator is typically used for WWTP sludge. We offer optimal quality Industrial Garbage Incinerator that help in carrying out disposal of waste materials. Treated wastes might be industrial waste or domestic. These systems reduce combustible waste into exhaust gaseous products and the incombustible waste into ash. Our systems are capable of reducing the weight of the wastes to a fraction of their original weight. Our clients can avail from us, optimal quality Industrial Incinerator that help in carrying out the complete combustion in the presence of fuel and air. The air provides oxygen for combustion and the fuel helps in providing heat energy to reach incineration temperature. 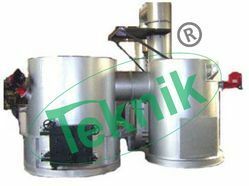 We offer Catalytic Incinerator, which are ideal for use against any kind of waste. These work on the principle of thermal destruction, which involves conversion of chemical residue into ash through the process of incineration at controlled temperature. These have been designed in accordance with the emission standards and leave no residue after the incineration process. In addition, the spent catalyst can be recovered. They are highly energy efficient. Catalyst Incinerator works on the principle of thermal destruction i.e. conversion of Chemical Residue into ash by incineration at controlled temperatures. Our eco-friendly incinerators ensure total incineration with no unburnt residue and meet the emission standards laid down by the Pollution Control Board. The same systems are used to recovery of spent catalyst from charcoal. The efficiency of recovery is 90 %. The spent catalyst like palladium, platinum can be recovered. Hindustan Platinum, Sun Pharmaceuticals, Sapan chemicals are few of our esteemed client list. Bioline's unique Digital Control Panel with Digital Temperature Indicator & Controller ensures that electrical supply is automatically cut off on achieving the required temperature inside the Incineration Chamber, thus helping you save on electricity consumption. 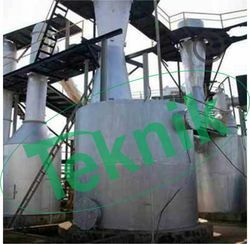 We offer a high quality of Chemical Waste Incinerator to our valuable customers. These products are used for effective disposal of chemical waste as per the emission standards decided by government. These products are manufactured using optimum quality raw materials that are sourced from reliable vendors. These products are designed to work with wide range of fuels. These systems can be customized as per the requirements of our customers. The Chemical Waste is also a very dangerous waste for the Health and Life on the Earth. A Perfect Chemical Waste Incinerator can Incinerate almost all type of Chemical Waste as per the Emission Standard Decided by Government. We Design the Incinerators with Different Fuel for Incineration of your Chemical Waste. LDO, LSD, HSD, Diesel, FO (Furnace Oil), LPG, CNG Natural Gas, Etc. can be used as Fuel of our Chemical Waste Incinerators. Our Design is proven and Running Successfully in Many Companies. Please Contact Us for Low Fuel / Fuel Efficient Chemical Waste Incineration System. There are industries and companies which produce huge amount of hazardous waste as a result of their manufacturing processes. To prevent pollution of the atmosphere, we offer superior quality Hazardous Waste Incinerator. These incinerators burn the wastes in order to decompose them. We offer these devices at economical prices. These hazardous waste incinerators are basically the huge incubators which helps in heating up and burning the waste items to decompose them and degrade them in nature. We are offering these hazardous waste incinerators to our clients at a very efficient range of prices. 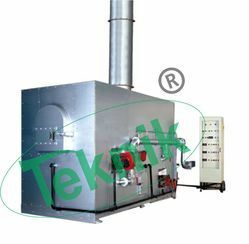 Microteknik offers good quality Hospital Waste Incinerators to treat the hospital wastage. These wastes include disease-causing germs. Waste Incinerators play vital role in creating a cleaner and healthier environment. In their manufacture, we incorporate superior quality raw materials and latest technology. Our product enables hassle free operations and is cost effective. Municipal Solid Waste is generated from residential dwellings, offices, hotels, canteens etc. It mainly consists of polythene, plastic materials and kitchen wastes. We offer Municipal Solid Waste Incinerator at economical prices to our valued customers. Our Incinerators are highly efficient and take less time to operate. Equipment can also be designed to meet specific requirements of the customers/local pollution control authorities. Optional accessories like gas scrubbers, continuous emission monitoring & recording systems, automatic waste feeding systems, ash removal systems and heat recovery systems can be supplied on request. Looking for Municipal Incinerator ?